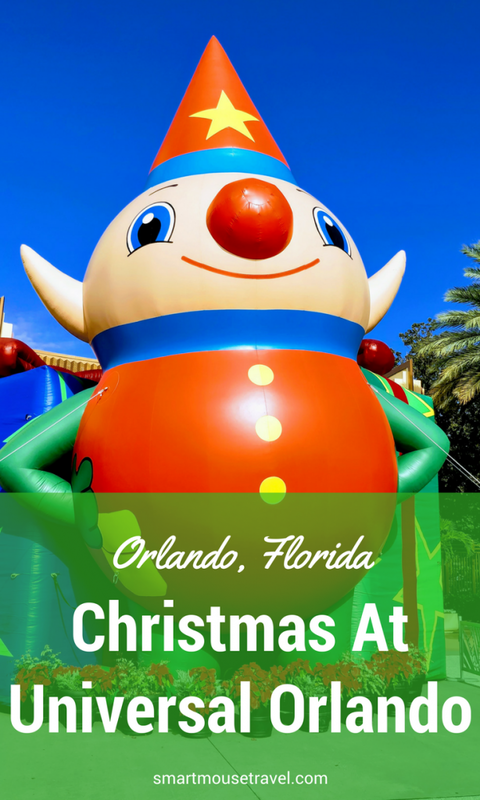 We love all of the Christmas activities at Disney World (including Mickey’s Very Merry Christmas Party), but I was curious about the Universal Orlando Christmas activities. We added on an extra couple of days to a Disney World trip to see for ourselves what a Universal Orlando Christmas is really like. The holidays at Universal Orlando did not disappoint with several entertaining events for the Christmas season. 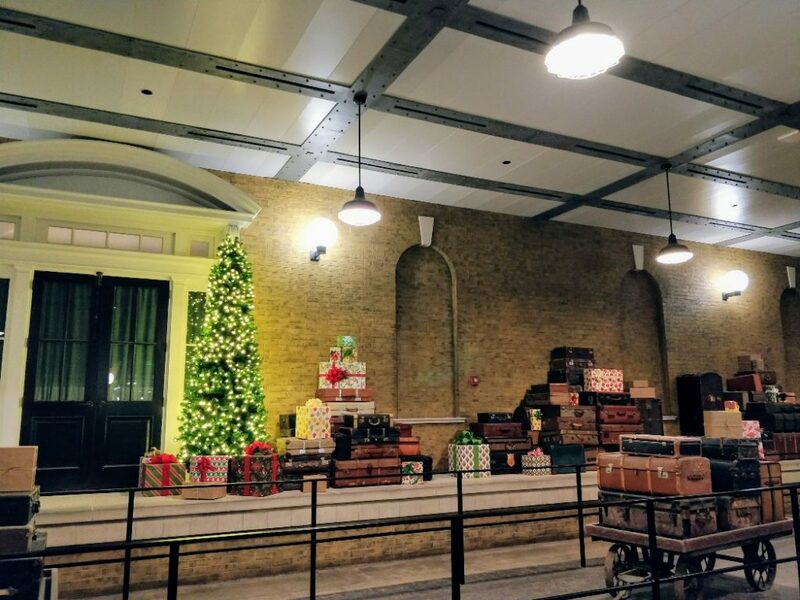 There are no specific Christmas events in Diagon Alley, but there is festive decor throughout Diagon Alley, King’s Cross Station, and Grimmauld Place. Another fun activity in Diagon Alley is to sip hot Butterbeer while listening to the Christmas classics of Celestina Warbeck and the Banshees. One of my favorite wizard Christmas carols by her is “Accio Christmas”. This parade is very reminiscent of a miniature Macy’s Thanksgiving Day parade, but focused on Christmas and Universal movie characters. There were the usual beautiful floats, dancers, and stilt walkers you expect, but seeing the balloons in person was really amazing. I had no idea how much teamwork was involved for the balloons to make their way through the streets. The parade lasts about 20 minutes. We attended on a low-crowd day and were able to find a good viewing spot 30 minutes prior to parade kickoff. I imagine more crowded days will require staking a spot earlier. There is a special viewing area for Annual Pass holders. 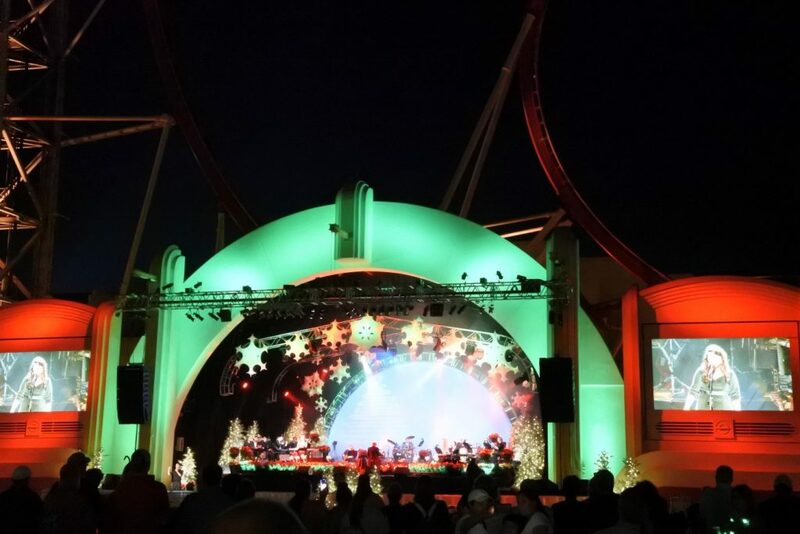 On select nights, Mannheim Steamroller plays a live concert on the stage located in front of Hollywood Rip Ride Rockit. We did not save a spot on the “lawn”, but stood behind the crowd to enjoy a couple of songs before exiting the park for the night. Seeing Mannheim Steamroller play live was quite impressive and a nice treat as we left for the night. Please note: Certain Annual Pass tiers do not allow park admission on concert nights. Can you believe I took this picture with my mobile phone? This castle projection show was a new holiday event for 2017 at Universal Orlando. The show starts at dusk and then runs approximately every 20 minutes until the park closes. The Magic of Christmas at Hogwarts projects various Harry Potter and Christmas images on Hogwarts castle. There are minimal fireworks in the finale, but these are an accent instead of a main focus of the show. We spotted lots of fun details from the Harry Potter stories in the show and really enjoyed the event. The images were very clear, and even my mobile phone pictures turned out well! 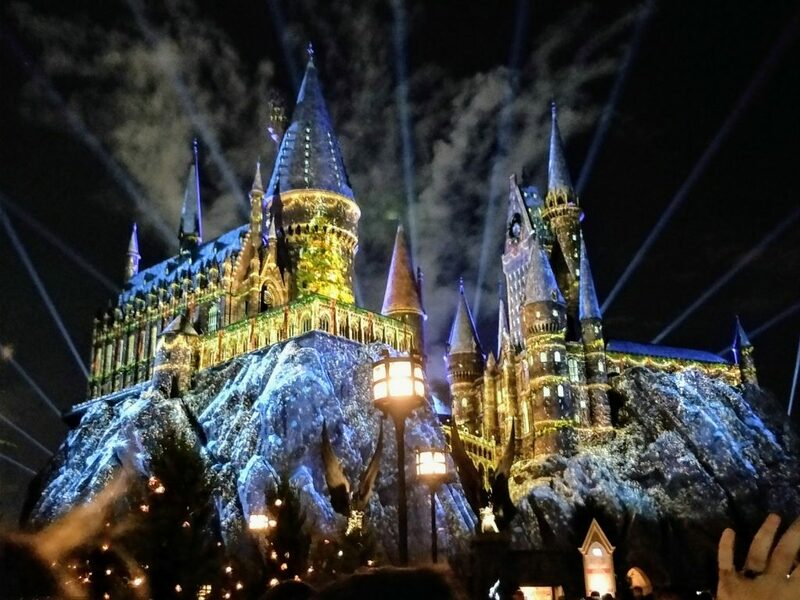 The Magic of Christmas at Hogwarts Castle show lasts about 8 minutes and can have extremely large crowds. The entrance into Hogsmeade is restricted to the main entrance under the Hogsmeade sign once it gets close to the first showtime. You can find this entrance across from the Hogwarts Express station. The viewing area for The Magic of Christmas at Hogwarts Castle is in front of the stage used for the Triwizard Spirit Rally/Frog Choir. Despite being a large area it does fills up quickly. If the viewing area is closed for capacity you will be directed to wait in the streets of Hogsmeade until the previous crowd has exited. Make sure to wait in the center of the streets, not in the walkways near Three Broomsticks, as this is not the official waiting area. Once the show is over, staff will direct you to exit Hogsmeade. If you wish to go back into “town” you can make your way back to the main entrance for readmission. The Grinchmas Who-liday Spectacular is a 30-minute Broadway style live show performed several times daily. 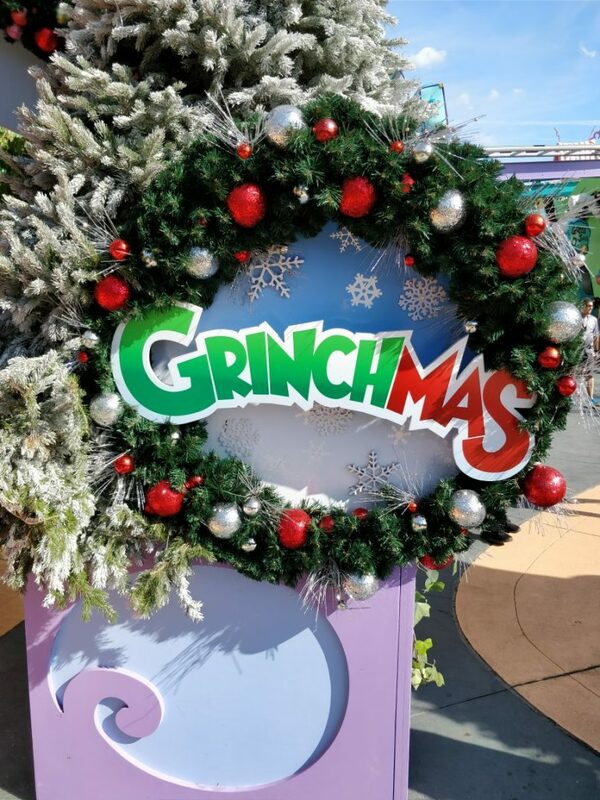 The Grinchmas show incorporates the classic Seuss story, songs, and several nods to the live action Grinch movie. The performers did a great job and the show was super entertaining. Before and after the show, keep an eye out in Seuss Landing as the cast members roam around and interact with you. 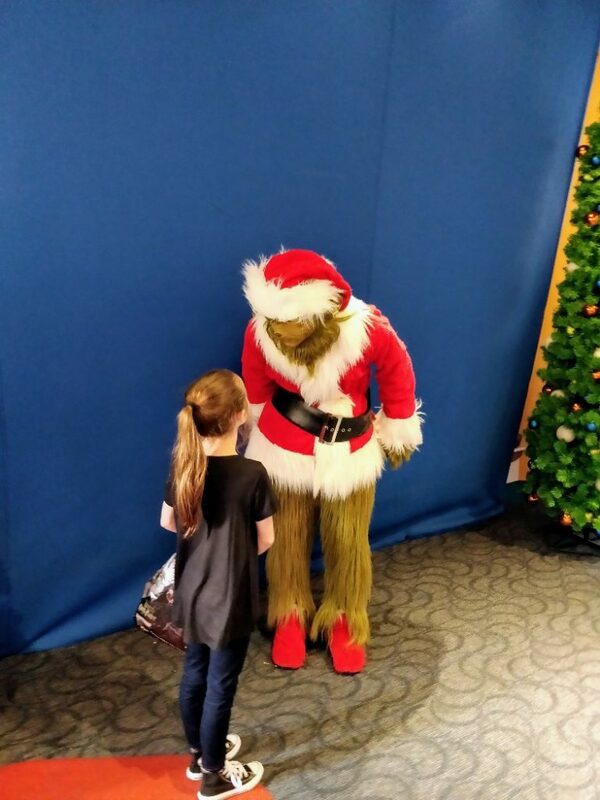 Meeting the Grinch was hilarious. He is in the book shop/gift shop next to Circus McGurkus. Look for pine garland rope lines, and that should be the spot for lining up to meet the Grinch. When Elizabeth approached the Grinch she had a plastic store bag with her Pygmy Puff inside. The Grinch took the puff out, handed it to Elizabeth and then turned the bag inside out over his hand. The whole time he is talking about how then he can steal without leaving fingerprints and then places several small toys into the bag. He then hands the bag back to Elizabeth and the instant she has the bag in her hands the Grinch yells “She’s stealing! Security!”. It was a funny and memorable interaction. You can also meet the Grinch at The Grinch and Friends character breakfast on select dates. 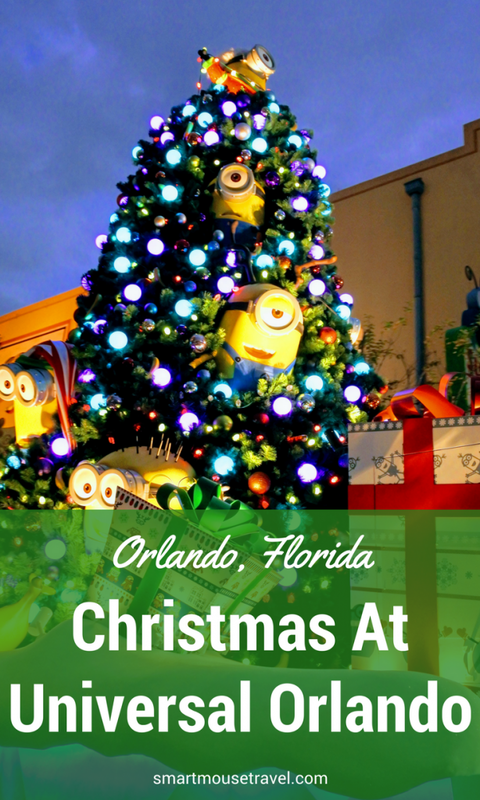 The Christmas season offerings at Universal Orlando Resorts were a great way to get into the holiday spirit. 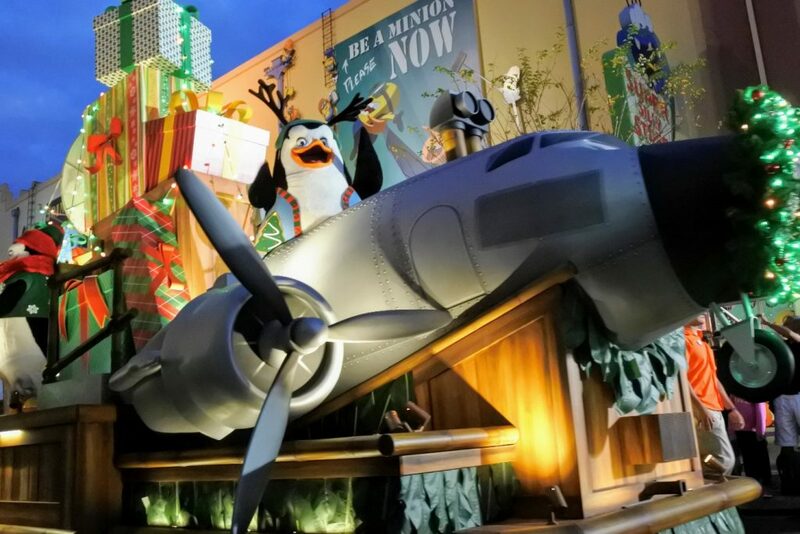 Each seasonal event from watching the Grinchmas Who-liday Spectacular to the Magic of Christmas at Hogwarts Castle to the Universal’s Holiday Parade featuring Macy’s was extremely entertaining. And our interaction with the Grinch will always be a funny memory. Although very different from Christmas at Disney World, Universal is doing a great job with their holiday offerings. 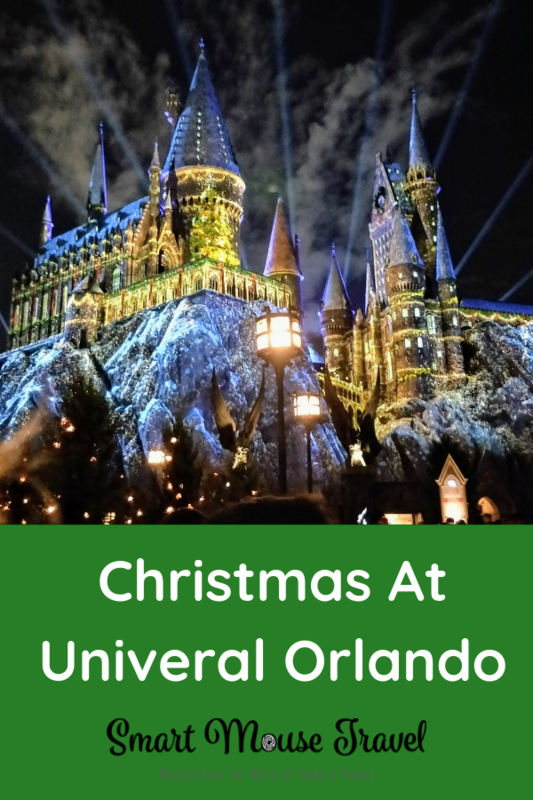 We all really enjoyed our days at Universal and would recommend you do some of their Christmas activities while you are in Orlando. Want to know more about the Wizarding World of Harry Potter Orlando or our favorite Universal resort? I can help with that, too.